Expat compensation packages are swelling in China as the rising cost of living and increased pollution make it more challenging to attract international talent. Mainland China climbed to fourth place and overtook Hong Kong in the latest ranking of expatriate pay packages in the Asia-Pacific region, a survey by consulting firm ECA International showed. A total package for an expatriate middle manager in Mainland China is now worth over $276,000 per year on average. In Hong Kong, the package is around $272,000 per year, slightly lower than in Shanghai and Beijing. However, far from all Chinese cities require such high pay. “The cost of benefits provision in tier-2 locations is still much lower than in tier-1 cities and if those cities, alone, were to be taken into account, Mainland China would appear towards the bottom of the regional ranking above only Malaysia and Pakistan,” said Lee Quane, Asia director of ECA. Higher salaries and increased benefit costs, as well as a stronger yuan, may explain the rise of China in the rankings. But employees also find it tough to attract international talent due to factors like the apocalyptic pollution and concern over food security. Last year, twice as many expats moved out of China than into the country, according to a study by UniGroup Relocation. With that said, China remains a popular expat destination. A 2014 HSBC survey showed that China is the third most desirable expat destination, behind Switzerland and Singapore. “China is the best place for expats looking to make their money go further, with 76% of expats in the country experiencing growth in their spending power once they’ve moved,” the bank said. The survey, which was carried in a CNN report, showed that about a quarter of expats in China make more than $300,000 in annual salary, the highest proportion of any country. Japan is home to Asia’s highest expatriate packages. On average, a package for an expatriate middle manager there is worth $375,000, ECA said. Expatriate packages in Singapore are lower than in Hong Kong. However, with the cost of the package having dropped slightly in H.K., while increasing in Singapore, the gap between the two continues has narrowed. 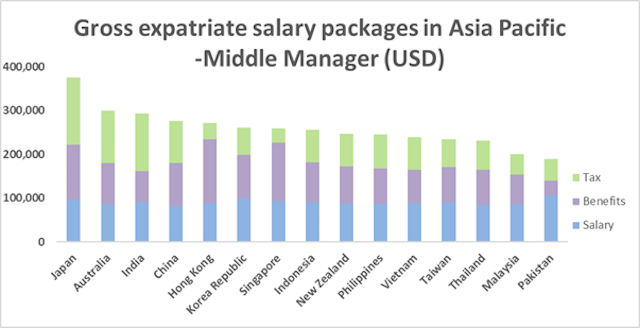 Taiwan is among the lowest in the region, with an average total expatriate pay package for middle managers of about $234,000 per year. “Expatriate packages are lower in Taiwan than in some of the region’s other, more developed economies, thanks largely to accommodation and international schooling being cheaper,” Quane said. “The cost to companies of providing the benefits element of the package is almost half as high in Taiwan as in Hong Kong, for example”. Malaysia has the second lowest expatriate packages in the list – one spot below Thailand. The U.K. has the highest expatriate packages among the world’s top financial hub countries, with a typical total expatriate pay package around $430,000 per year. Mark Harriso, manager at ECA, said that depending on how the package is put together, the cost of providing benefits can be considerable even dwarfing the cash salary element. 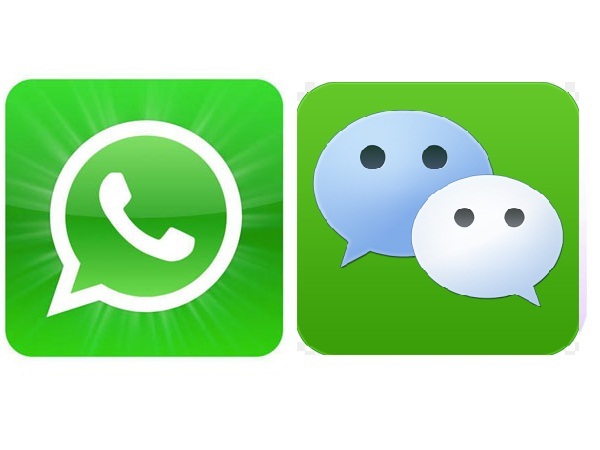 “This is the case for the U.K. as well as Hong Kong and Singapore. However, while the tax component of the package is small in Hong Kong and Singapore, it has a huge impact on overall costs when relocating someone to the U.K.,” he said.